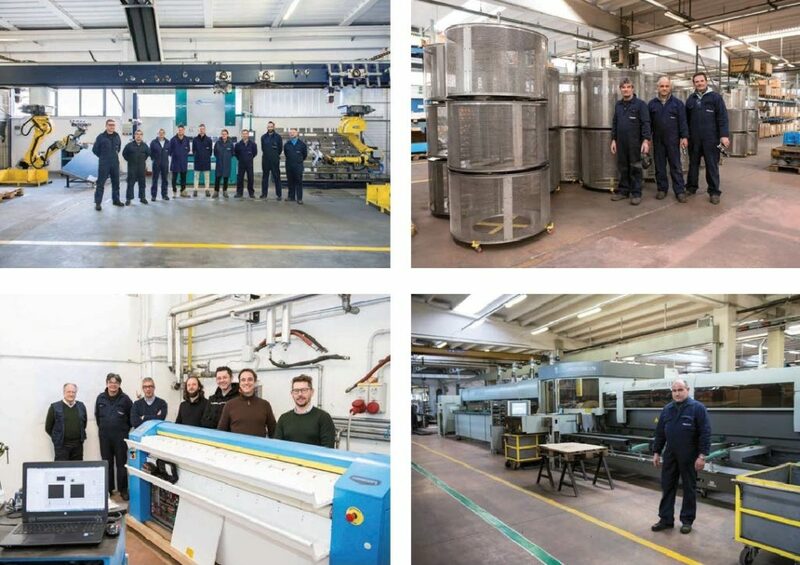 “We are a big family” is the key phrase that helps us understand the booming growth of this company from Treviso that today, with its 15 million turnover per year, operates on the global scale servicing large industrial laundries, luxury five-star hotels and self-service laundries offering brand new services. Everything is homemade and tailor-made. This is how Imesa reasons and operates. Knowing how to win on every front. 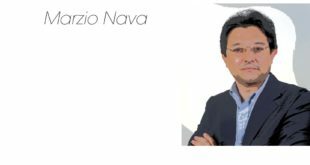 While awaiting the two exhibitions-events, the Host exhibition in Milan in October 2017 and the Gulf Laundrex-EXPOdetergo International in Dubai in November 2017, the ideal moment to understand things better is the lunch break. It is quite common to see everybody sitting together in the canteen of the factory in Cessalto. 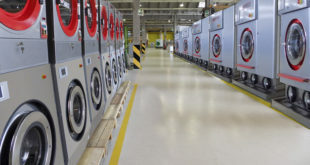 The owners, the workers, managers and the administrative staff of a factory that manufactures everything from scratch assembling and exporting all kinds of high spin washing machines, tumble driers, flatwork and drying ironers to every part of the world. It is to be discovered that the staff is not concentrated just on themselves sitting in a quiet angle with a smartphone in their hands while eating pasta, but they would rather talk and discuss things lively, things that on that particular day turn out to be important and interesting to talk about, both workwise and everyday life topics. Therefore, when at the end of the lunch break, Mr. Luciano Miotto, an engineer and the General Manager of the company, a leading world brand in laundry machines production, gets up from his table to explain that “here, we are like a big family”, his words hit the target perfectly. Maintaining the family dimensions based on shared objectives within a company that hires more than 100 employees means setting the basis for the “Imesa Team”. The team that conquers room in the global market with a leverage on its very homogeneity, its business mindset, the harmonious collaboration with the external world subjected to continuous transformations. The family, also intended as the DNA of the knowledge that gets passed on, is the vital nourishment for the craftsmanship that identifies Made in Italy products. It confers a brand identity to the production that becomes copy-proof. 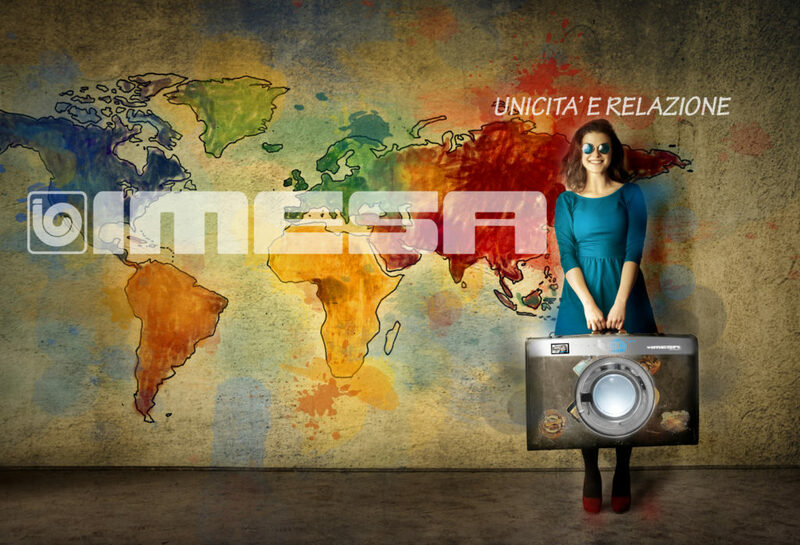 It can also be noticed on the occasion of Host exhibition in Milan and Gulf Laundrex in Dubai, two shows where Imesa will present its new jewels, ES23 and ES34 tumble dryers, and washing machines with the widest doors opening in the world (803mm diameter) to make the uploading and downloading operations easier. Once again, high level craftsmanship applied to industrial production. “It has always been like this ever since my father, Gianpiero started the business forty years ago – Luciano Miotto explains -. And if today, me and my brother Carlo, the Sales Director of Imesa are dealing with the world competitors, it is because the soul and the core of the business have not changed since the time my father managed to impose and develop his business back then”. In order to focus on this company’s trend with its 15 million euro turnover per year, it is necessary to start from the image of Imesa’s big artisan family, a naturally born and determined team. The entire production takes place at their factory. The machines range from 7 to 120 kg. “It is crucial for us to understand it, especially now, in year 2017 – the General Manager continues as this has been the milestone year for us. We have doubled the operative space in the factory by starting our second hall dedicated to the production for industrial laundries. The sector is renowned for the presence of international competitors, some authoritative ones due to their business history, with their great know how and international relations. They are all competitors that we highly respect but do not fear simply because we know that Imesa can offer some unique products for every client, from large international structures to self-services inside the shopping malls”. This ace in the hole that Imesa can play in every game has got a well-known and precious name: “Tailor Made”. It is an English expression where “tailor”, the person who sews and tailors garments gives meaning to these words that actually translate to “customizing”. Only by the everyday cultivation of the Tailor Made, which is made possible due to the total control of an entire productive chain “at home”, that the powerful muscularity exhibited by Imesa acquires much sense competing within the industrial laundries sector. 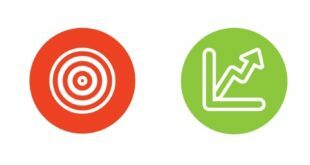 It aims at making the client be aware of the importance of partnership relationships, of a continuous dialogue, of adapting each company format to buyers’ requests. The Tailor Made philosophy alone is the reason why Imesa is called to give voice to the infinite number of the variations in machines’ use, e.g. 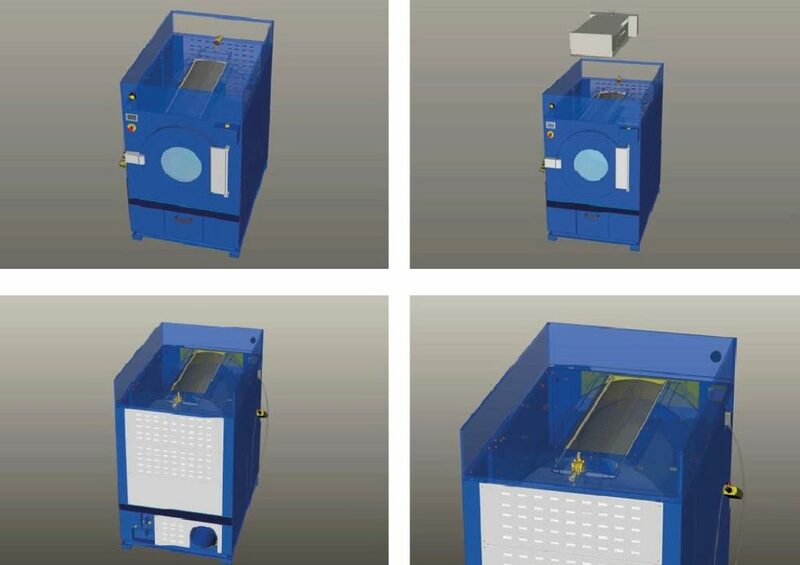 the added tanks for mops and door mates washing, the double draining system for chemical industry (where the first draining of dirty water gets connected to a water purifier), Inox steel used in dairy production cloths washing, extremely sophisticated solutions for pharmaceutical industry such as washing and eliminating contaminants and hazards from lab uniforms and coats. Servicing textile businesses on the daily basis is also worth mentioning. 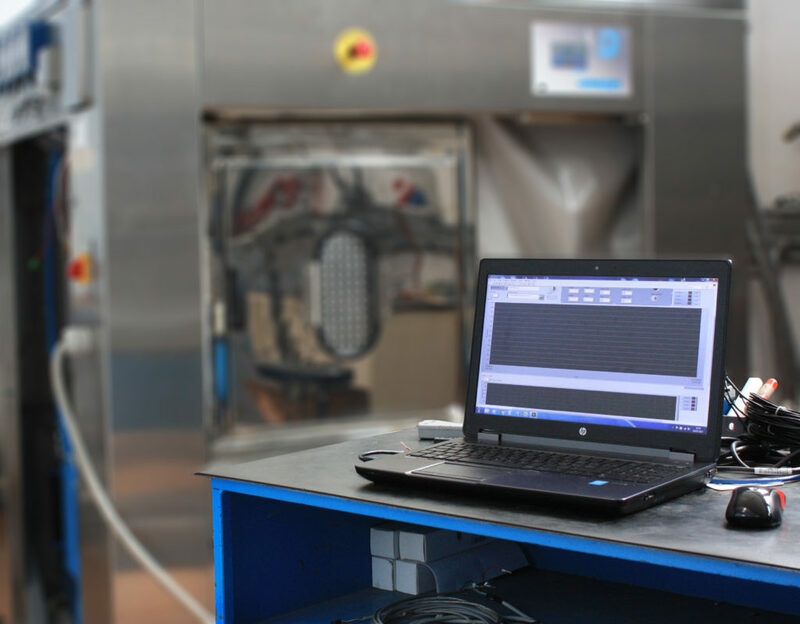 The requests that Imesa meets for them consist of machines able to manage controlled felting processes of precious types of wool such as cashmere. Trying to get deeper into the matter, Imesa’s Tailor Made clients range include, among many others, a Franciscan Monastery of the Holy Land Safekeeping in Jerusalem, the Savoy Beach Hotel in Paestum, a futuristic self-service children playground in Azzano, Pordenone. The three examples have been chosen from hundreds of others just to give the idea of universal services that Imesa offers worldwide. In order to meet the requests of the global market and offer the necessary level of performance, the high standard of Imesa’s craftsmanship obviously had to follow the rules of an absolutely excellent “competition”. Easy Use – Touch Screen deriving from the common language interface of smartphones. 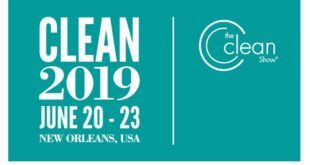 Energy Saving – Low temperatures programs, detergents and water use optimization, thermal isolation. Ergonomics – Excellent design of each product, easy to reach touch screen (inclined and adjustable), big dimensions portholes. 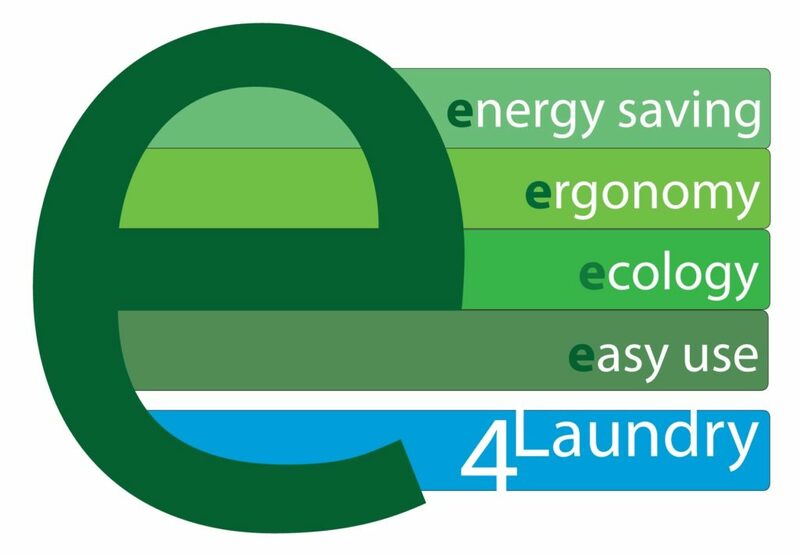 Ecology – Reduced environmental impact due to the reduction in water, detergents and energy consumption. Recycling at the same time.